The name of this blog alone should already clue you in on one of my favorite things in life; coffee. I cannot live without it. Sometimes it takes a cup of a joe or a lack of it to set the tone of my day. It’s likely I would be suffering from a terrible headache if I don’t get my dose of coffee. But my love for coffee, for quite some time, stayed in just the aspect of consuming. I don’t really possess an in-depth understanding of what it is about and the whole process of turning it into this brown liquid drink that I claim I cannot live without. Then I heard about an event called, Cupping with Entrep, a short session that involves talks about the process of making coffee and the actual cupping. I’ve been entertaining thoughts of having my own coffee shop of late; learning about coffee is a step toward this goal. Coffee with Entrep was a collaborative event between The Office Project and some businesses, such as the Narrative Coffee Company, Kalsada, EDSA BDG, and Plain Sight with Mom vs. Chef. Door charge was only PHP 200 (USD ), part of this will be given to their chosen beneficiary. Considering the things that I learned from this event I say it was money well spent. The first time I saw coffee cupping was in a Latin TV show. The characters went to a coffee plantation, sipped some coffee cup but then they spat out the liquid in another container. I was baffled but didn’t bother to find out the reason behind the practice. The question was finally answered in this cupping event. 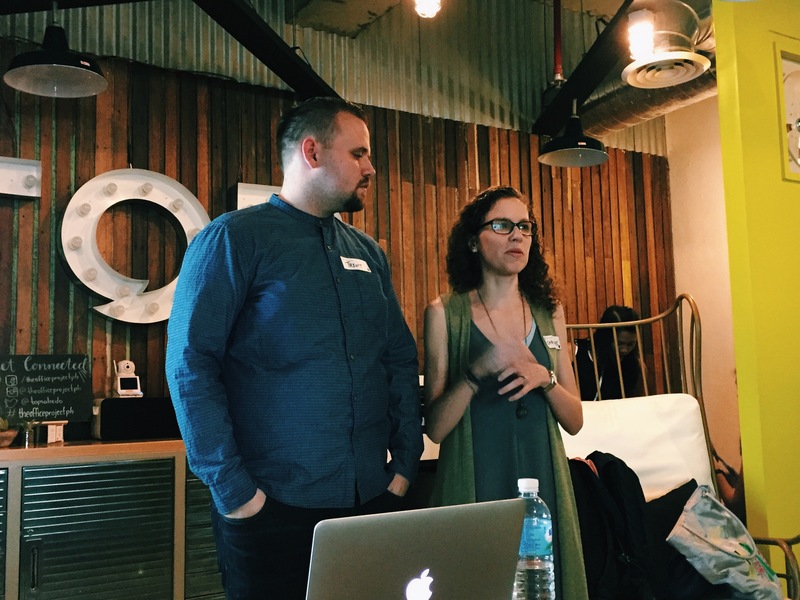 The event started with a little coffee 101 where we learned about the process of producing coffee from crop to cup. It was not as simple as I thought and there are several conditions in the growing of coffee beans that affect the taste of the coffee. What’s the difference between Regular Coffee vs. Specialty Coffee? How is the coffee bean processed? What are the factors that affect coffee taste? What happens during Cupping session? 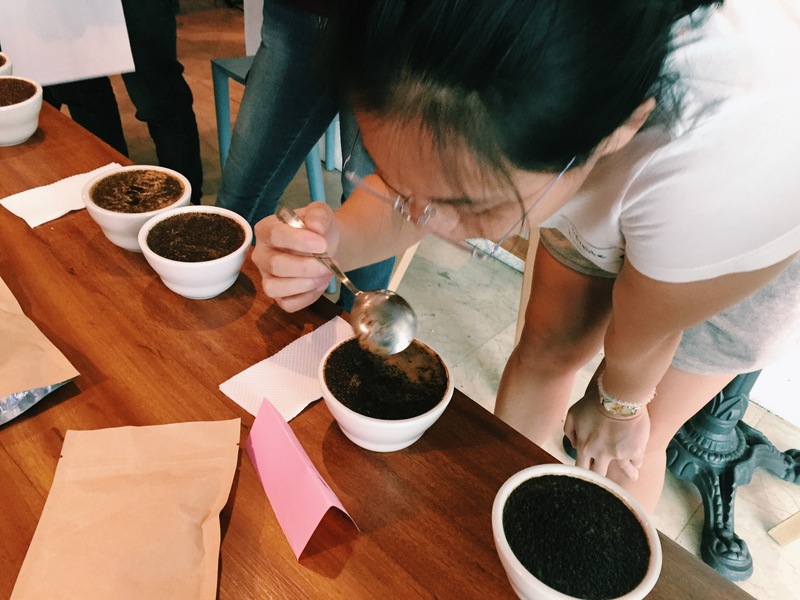 Coffee cupping is basically a coffee-tasting session that involves smelling the aroma of the freshly roasted coffee beans and drinking or tasting the coffee. The people who do this are called Q Graders or “cuppers;” specially trained to assess the quality of the coffee. The easiest way to see the difference between the Specialty coffee and the Regular or commercialized coffee is in the packaging. The instant coffee that you buy from the grocery, those are the regular ones. The specialty coffee comes in a coffee bean form and you have to roast them first coffee before brewing. There are three well-known types of coffee beans or species, Arabica, Robusta, and Liberica. Arabica (Coffee Arabica) is the most popular and largely produced coffee bean in the world and it is widely grown in the Yemen and Arabian Peninsula. Arabica has less acidity and caffeine. Robusta comes in second and it is widely grown in Africa, Brazil, and Southeast Asian countries like Vietnam and Indonesia. It is cheaper than Arabica because it is easier to grow and produce. It has more caffeine than Arabica coffee. There are three ways to process the beans, Dry, Wet, and Honey. 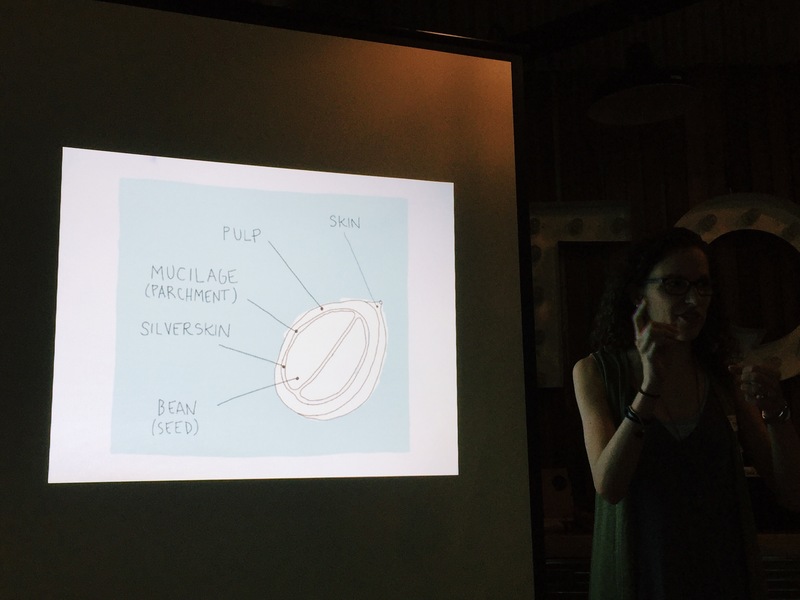 The first thing you need to know is the layers of a coffee bean; it has 5. First or the outermost layer is the Skin (pulp), deeper than that is a sticky substance called, Mucilage. Beyond the mucilage is Parchment. Next is the Silver skin or chaff. Lastly is the seed itself or what we call, coffee bean. The goal of the processing is to get to the bean. For the Dry method, the coffee bean is dried under the sun. In this process, no layers of the coffee bean are removed. Wet or washed is when the skin pulp is removed using water and fermentation. And in Honey process, The pulp is removed but the mucilage is retained. There are several factors that affect the taste of coffee and the most notable of which is elevation. The altitude of the land in which the coffee is grown has a bearing on how a coffee would taste. The higher the elevation the more fruity and floral it would be. Meaning if it is planted on low altitude it would taste bland or earthy. The way the coffee cherries were harvested would also make a difference on the taste. The riper the beans are the more delicious and expensive it would be compared with those that were picked regardless of the state of the bean. Let me just share what happened with the one I attended. First, they laid out 20 coffee cups on the long table. All in all, we sampled 10 flavors of coffee beans. 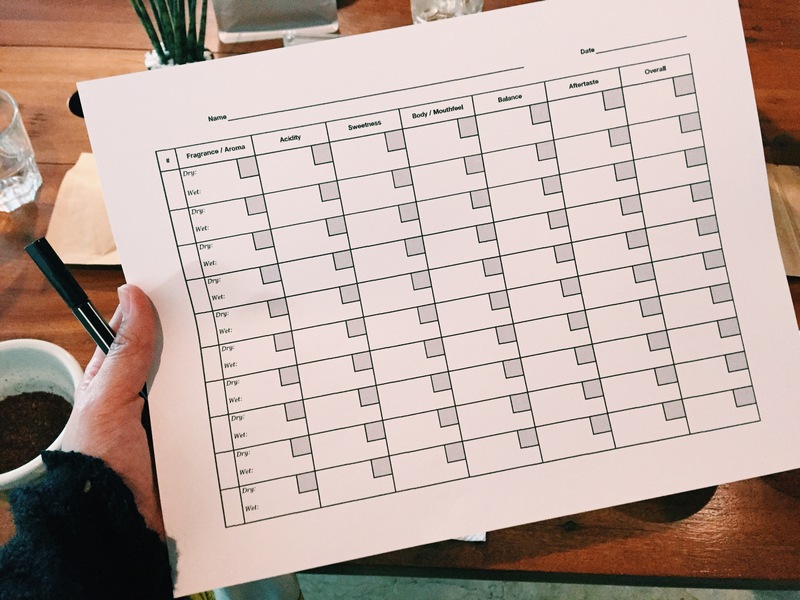 They gave us a checklist where we were supposed to write our evaluation of the coffee by describing the smell, feel, and taste of the coffee. We started with the smelling of the coffee ground after which, water is poured on to it. The undissolved coffee ground formed a crust on the surface of the cup, again we had to smell it and take note of what we picked up from the aroma. Next, is the tasting part, because we were sampling several coffee flavors, we had a choice to spit out the coffee after tasting them. This is when I remembered that scene from the telenovela that I mentioned earlier. One cupper said that we are not compelled to drink the coffee if we don’t want to. The point of the cupping is to just taste and evaluate the coffee. If it’s too much for a person, he could just spit it out after tasting. I picked a spoon and started sipping the coffee when I heard some loud slurping sound. I turned to see the experienced cuppers slurping the coffee in a swift and noisy manner that I had to ask one of them why they were doing that. She said that you have to spread out the coffee over the palate, to the back of your throat to fully capture the taste of the coffee. Apparently, the most effective way of doing it is through slurping. I went on to try it and ended up choking (lol). I guess this takes practice. I detected some fruity and nutty notes, but I’m not going to go into details because I simply can’t. 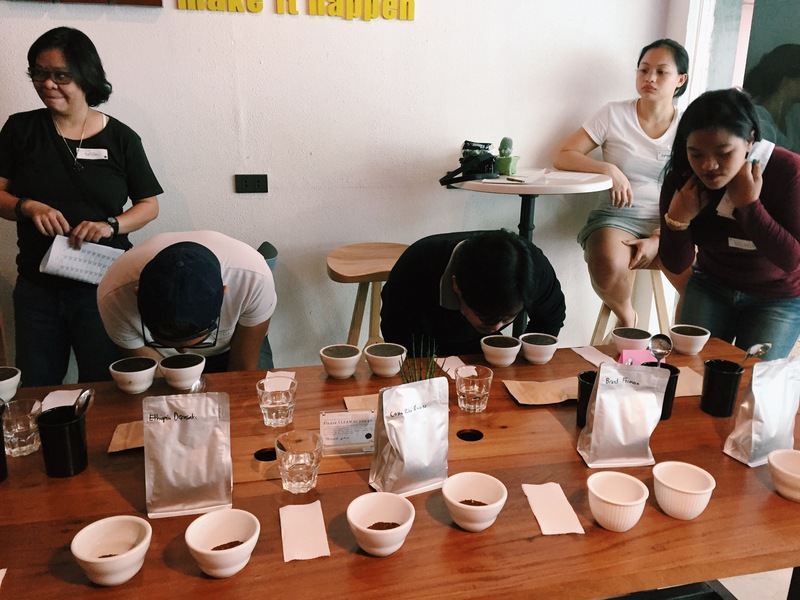 It’s too early in the game for me to know exactly how to differentiate the smell and the taste of the coffee from one another and even the cuppers said that it takes some practice and lots of exposure to coffee cupping to be good at this. I stopped taking notes because only a few stood out for me, the others tasted or smelled pretty much the same. If I went on writing my assessment then I would only be pretending. It doesn’t mean that I don’t want to do this, in fact, it fueled my desire to really learn about this industry. I want to be an expert in cupping. During the event I got inspired by one of the cuppers, Tere Domine, head roaster of Kalsada. Her knowledge about coffee is so extensive, I was in awe as I listened to her story. Then I realized that I want to go venture on a some sort of a coffee tour. I want to know coffee; go to a coffee farm, experience coffee picking, talk with the farmers, and really understand what the coffee industry is all about. I want to smell the coffee ground and be able to tell if it’s Arabica or Robusta. I want to know by the taste if the coffee was grown in high or low altitude. I want to be able to tell by the feel of it if it was dried, washed, or honeyed. I want to drink it and be able to share its story with the people. 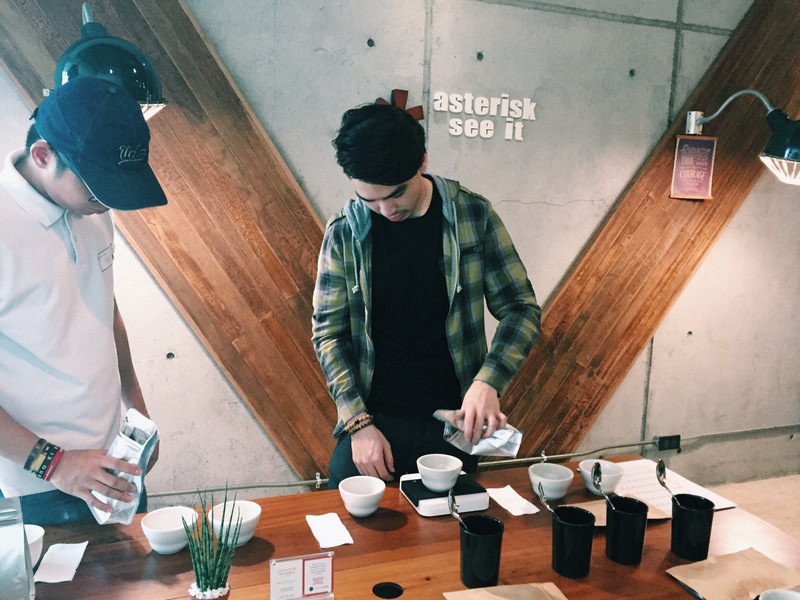 The cupping event is just a part of a long and complicated bean to cup process. 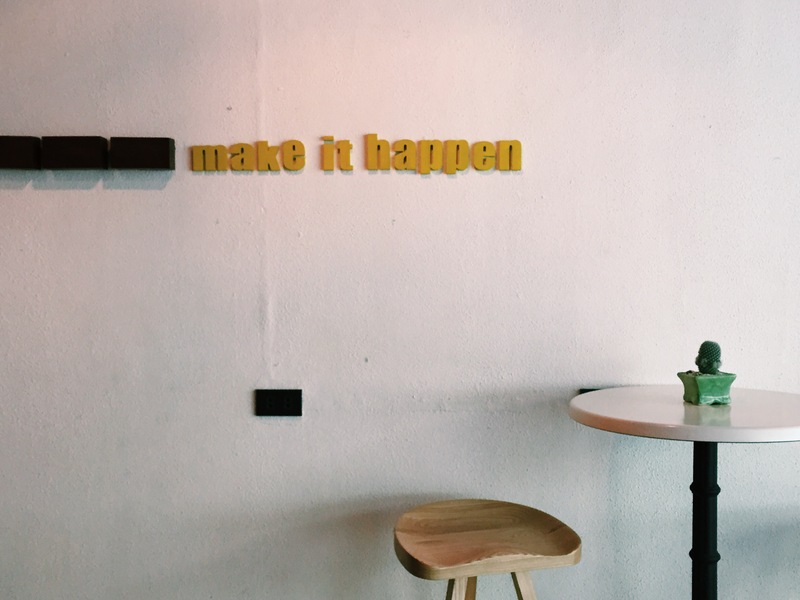 If we’re going to the nitty gritty of things, it involves 15 steps. Luckily, somebody reached out to me to share an infographic that he created that shows these 15 steps. Isn’t it amazing? Don’t tell me you’re not impressed. 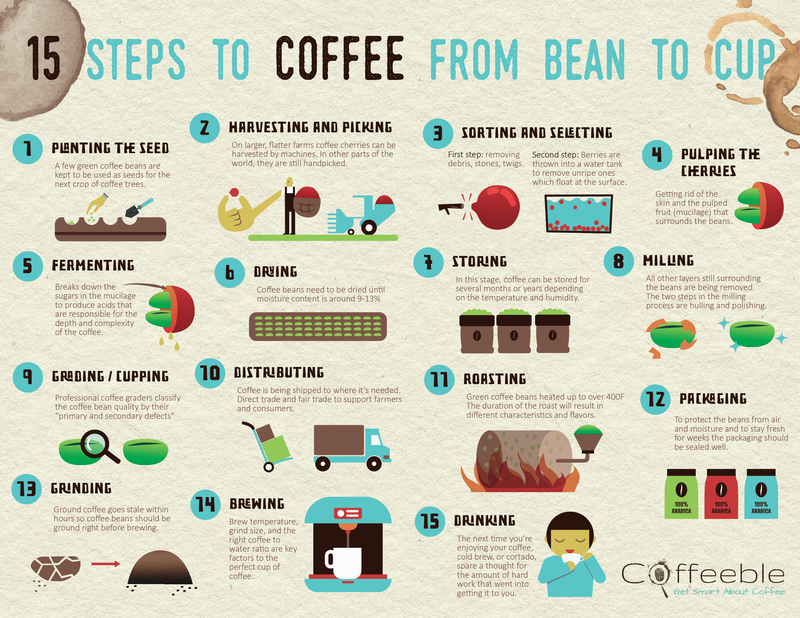 Thomas designed this amazing infographic about How Coffee Is Made. When he’s not triggering the smoke alarm while roasting coffee at home he usually writes new coffee posts on his blog coffeeble.com. I am happy that through Cupping with Entreps I have taken the first step to gain a much deeper appreciation of this aromatic brown liquid that completes my every morning. And I’m excited to continue the journey. This is a very invigorating post full of the aroma of freshly roasted and ground coffee beans. I too was always fascinated by the scenes of people sipping coffee from a cup and spitting it into another. This post has demystified a lot of things. wow.. I never thought coffee is a very complicated thing.. I really love coffee, especially like those… But I do sip some 3-in-1’s but I love real coffee from beans especially brewed, the well known.. barako! Hi! Very interesting experience. It is always fun and exciting to learn something about the thing that we really like. And you are lucky that you experienced and learned new stuffs about the thing that love. I am not a regular coffee drinker but I am always curious on how they prepare it. When we were in Bali, we learned how they prepare the LUWAK coffee and why it costs way higher than the regular coffee beans. Excited for your coffee journey! Yes there are tons left to learn. As long as you have passion you can master it. Who knows you might be a Q grader next year already. This reminds me so much of my first job. Learning about farm to fork processes is really fascinating ? I know the guys who gave the seminar! 🙂 I love coffee and its definitely a cool experience being able to learn more about something which you consume on a daily basis. I do admit, even if my parents have a coffee farm, I am horrible at distinguishing the different kinds and flavors. Wow! What an experience. I love coffee and I love learning about the process of creating something. I would have fun doing this as well. Good luck on your coffee goals! This sounds so interesting.Would love to experience something like this one day. Good luck on opening your coffee shop. I’m not a coffee drinker. One reason is because I breastfeed. But even before that, I’m more of a tea person than a coffee person. I remember one of our activities in college as a student of Hotel and Restaurant Administration. We would smell and taste different types of liquor and we need to guess them correctly. This was part of our beverage management class. It was fun! I love drinking coffee but didn’t know the anatomy or bits and pieces about it. All along I thought they are just the same. Coffee cupping I must say is a great experience. You will learn a lot from it, from distinguishing the coffee by smelling and knowing how it is being processed. Hope I can join one of this sessions as well. I really love coffee. Mostly drinking it :). I like special kinds of coffees (like lattes, caramel coffees etc). My favorite is banana mocha coffee. Coffee cupping sounds great. I had no knowledge at all on how the coffee beans are processed and how that affects the taste. Loved to read about it. I can imagine your enthusiasm! I never though it was that hard to evaluate coffee and there’s so much more to learn indeed, before I’m not really a fan of coffee but when my second child came, since then I turned out to be a coffee lover, hahaha, my breakfast is not complete without it. Painit in our language which is bisaya. I never knew there is a specific and tedious process of creating coffee. I’m not a coffee drinker due to health issues but I do love the aroma that coffee gives off. I learned a lot from your post and it made me interested to try out coffee cupping. 🙂 It’s refreshing to read your blog since you’ve got so much passion for coffee. haha, it sounds so fun! 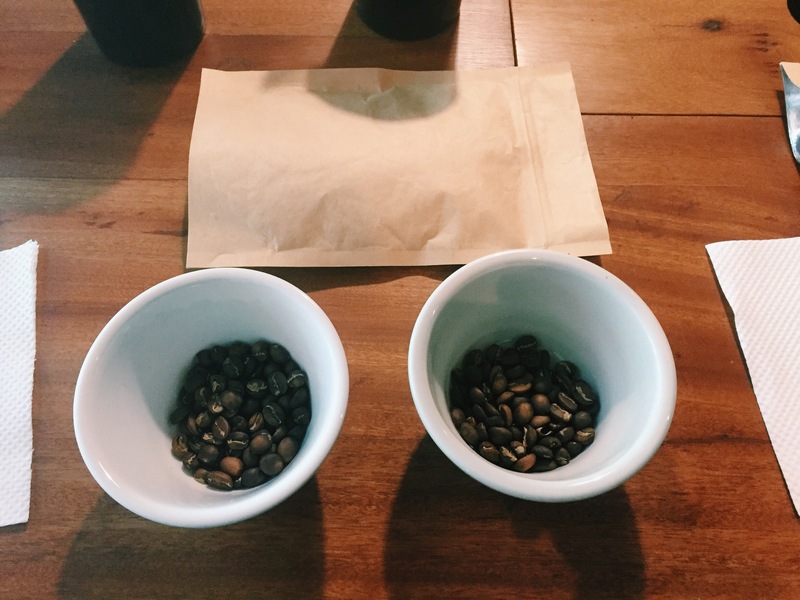 i’ve attended a short cupping session before and i think i kind of frustrated the instructor out when every thing i smelled was just coffee…. eventually he gave up on asking me questions (like what did i smell etc). i would like to indulge in some self-denial that it’s because i’m too much of a coffee-addict so i can ONLY smell coffee and not everything else my peers were smelling from the same grounded beans. This sounds so fun and interesting! I actually watched something like this on a documentary once. Would love to try it one day too as I loveeee coffee! ☕? ?